Computer is the electronic device that has been evolved in the most rapid phase over the time. All parts that all together compose the computer now have come a very long journey when compared with their ancestors. The keyboard, our topic, the most widely used input device in the world, has no exception for the above truth. 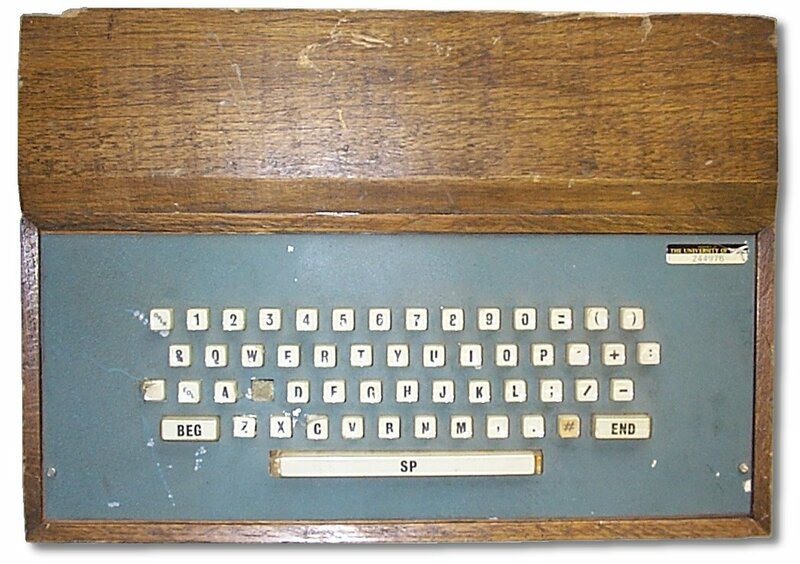 The first keyboard was made of wood and the back side of the keyboard would look for a modern person like a mess with its complicated soldering. What Is A Virtual Laser Keyboard? Although it’s been a while since Virtual Laser Keyboards have been invented, it’s still new to many people and still a luxury item in many markets. Since the first day I read about this wonderful innovation of modern science there were several things in my mind bound with Virtual Laser Keyboards that kept me in doubts. Recently I thought to dig a little deeper and get a good idea about what’s really going inside that small black box. Thanks to my postponing nature this post stayed a draft for over three years. Yes three years! As per today the virtual laser keyboard is not so interesting but for the sake of completeness, I will complete this post. But briefly. There are four components in a VLK that work together. A laser, with help of some optics projects an image of a keyboard to the table. This is for you to recognize where you should stroke for each key. An Infrared projector – this projects a thin film of infrared light just several millimeters above your table so it is above the keyboard image projected by the laser. A CMOS (Complementary Metal-Oxide Semiconductor) sensor images your finger position as you strike your fingers through this IR film. Another sensor called Virtual Interface Processing Core then analyzes your finger position. Then the Virtual Laser Keyboard will figure the appropriate key and send it as a message to your keyboard. This entry was posted in General Computing and tagged above, CMOS (Complementary Metal-Oxide Semiconductor), complementary metal-oxide, finger, image, images, infrared, Infrared projector, keyboard, laser, laser keyboard, metal-oxide semiconductor, position, post, projects, sensor, table, thanks, three, virtual, Virtual Interface Processing Core, virtual laser, virtual laser keyboard. Bookmark the permalink.